Communicators too often think of metaphor as a poetic doodah that has no place in serious nonfiction writing. Not true. Metaphor is a workhorse of all meaningful writing. Metaphors get their power from the fact that they compare the subject you’re writing about to something that’s more familiar to the audience. That way, they help our audience members understand new, complex information by means of something they already understand. So how can you put the power of metaphor to work in your very next piece? Best of all, Ann delivers her techniques fast, with no filler. 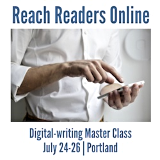 In one hour and 26 minutes, you’ll be writing metaphors that make even the most complicated information clearer and more compelling. Audio workshop and workbook. 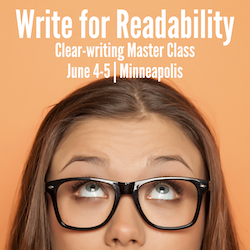 You’ll be able to “attend” a workshop explaining how to write better analogies. Handbook — 23 pages packed with tricks, tools, techniques and tips for writing more effective metaphors. Use this information to reinforce the skills you learn in the audio workshop. Plus: You’ll get pages and pages of additional techniques and resources that just wouldn’t fit into the workshop. Cheat sheet of formulas and checklists — all the action steps of the Clarify Complex Copy toolkit on one sheet of paper. Keep this checklist by your computer to use on every piece you write and edit. Our clients tell us that this job aide is one of the most valuable tools they receive for applying new skills to their daily writing. Now you can get all the tools in The Clarify Complex Copy toolkit for the special introductory price of just $127.